Surprised you with my sudden disappearance, didn’t I? As the kith and kin know, I relocated to New York at the end of May 2012. International relocation wasn’t easy and as much as I tried to keep up with my weekly post, I slipped three Fridays. But I am back with a new recipe! I am still getting used to the American kitchen. I haven’t tried anything new so far. 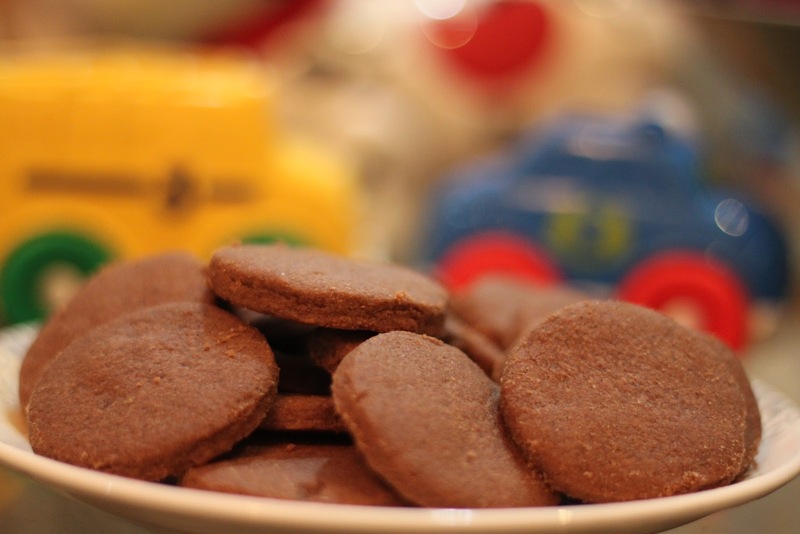 The Chocolate Shortcake cookie recipe that I present below is one of the last foods that I baked in India before I set off. These cookies proved to be a big savior – they came in really handy during our long journey and settlement. I love the cake like crumbly texture of these cookies!! The process may seem complicated, but trust me, it’s only a matter of patience and practice.